The Alkazi Foundation for the Arts (AFA) is a Registered Charitable Trust in New Delhi (India), dedicated to the preservation and study of the cultural history of India. 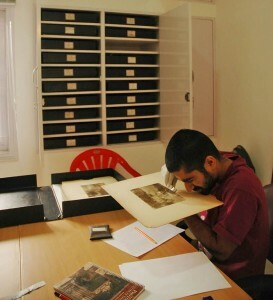 Ebrahim Alkazi, the Foundation’s Chairman and Director, has amassed a private collection of 19th- century photographs known as The Alkazi Collection of Photography (ACP). The Alkazi Collection of Photography is housed in the AFA, which carries out research on this extensive holding in preparation for a continuing series of scholarly publications and exhibitions. Ebrahim Alkazi (b. 1925) is primarily known as one of the country’s leading post-Independence theatre directors and a patron of the arts. A theatre director of profound insight and fastidious taste – shown to full advantage during his years in Mumbai with the Theatre Unit from 1950-1962 – Alkazi, as head of the National School of Drama & Asian Theatre Institute from 1962-1977, built it up into a truly national institution with a breadth of outlook that embraced the classical Sanskrit drama, traditional and folk forms, contemporary Indian drama in the regional languages, and Western drama from the Greeks to the present day. He introduced cutting-edge training methods, academic rigour, technical discipline and international standards in an attempt to professionalize the already-vibrant Indian theatrical scene. After 1977 he was less engaged in the theatre. He became a determined promoter and patron of related aesthetic endeavours, especially in visual arts. 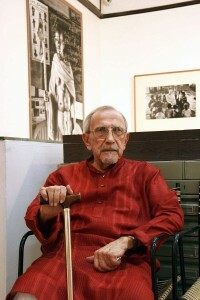 As Director of the Art Heritage Gallery in New Delhi, Alkazi was among the first promoters of modern artists such as Maqbool Fida Husain, Tyeb Mehta and Akbar Padamsee. The Alkazi Collection of Photography at the Alkazi Foundation for the Arts, New Delhi (founded in 2006) is one of the world’s largest private collections of historical photographs, cameras, maps, negatives and documents. Its emphasis is on 19th- and early 20th-century images of India, Myanmar (Burma) and Sri Lanka. Alkazi, a great collector, is also an integrator, striving to connect the world of aesthetics and education, along with the visual, documentary and performance arts. He has received several awards, including the Sangeet Natak Akademi Award for Direction (1962) and three Padma awards: the Padma Shri (1966), for distinguished service; the Padma Bhushan (1991), for distinguished service of high order; and the Padma Vibhushan (2010), for exceptional and distinguished service and his contribution to the Indian arts. 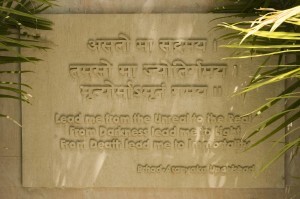 The AFA is located in Greater Kailash-II, New Delhi. Built on three levels, the Foundation is dedicated to the preservation of its vast collection of photographic prints in order to serve the purpose of scholarship and research. The process of archiving the ACP was initiated in 1995. The Foundation lays a strong emphasis on the proper preservation and archiving of its material, keeping in mind the historical importance and potential future value of the documents. Each floor is equipped with a reading room that enables scholars to carry out their research in quietude. The Foundation has a vast collection of books that include several old and rare publications. 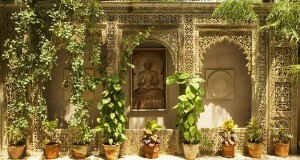 All aspects of Indian history, including the history of photography are covered in the library. The Foundation is equipped with wireless Internet access that allows visiting scholars with laptop computers to access the net with relative ease.